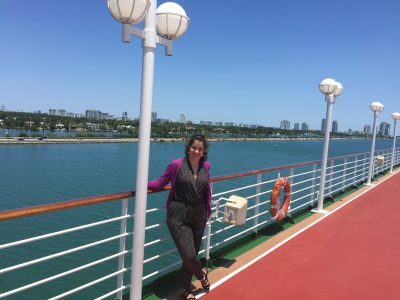 I’m thoroughly enjoying my cruise on Fathom’s Adonia, so I thought I would share some general first impressions and suggestions that you may not have found online before! Note: Fathom is the cruiseline and the ship’s name is Adonia. 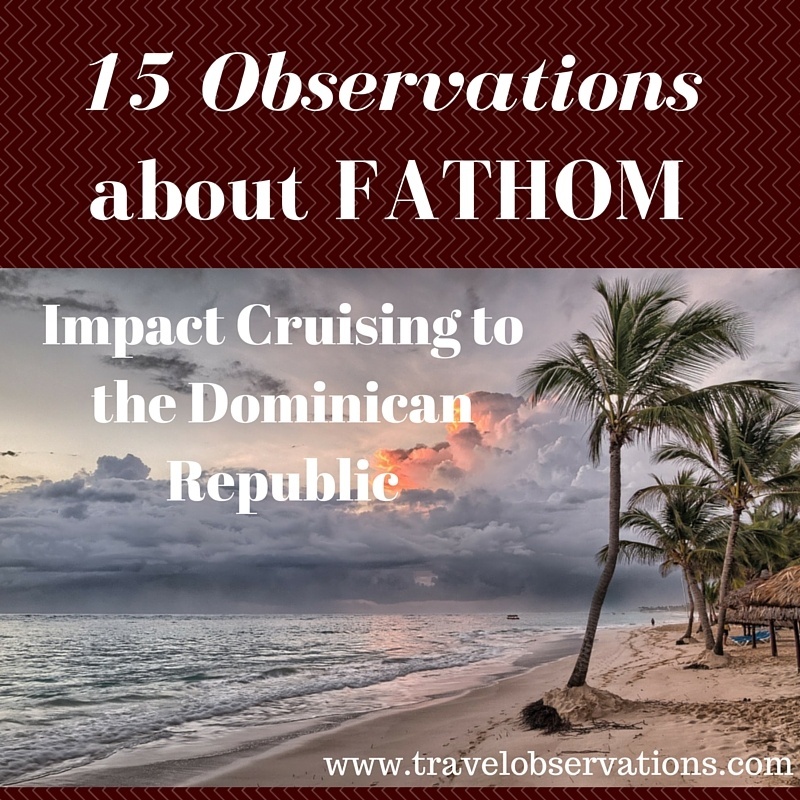 However, Fathom only has one ship, which alternates between Dominican Republic and Cuba, so many passengers interchange Fathom and Adonia. Note: only the Dominican Republic has “impact activities” – Cuba has mandatory cultural activities and no volunteering due to the embargo/visa requirements. The below observations have been written after 24 hours on the Adonia on the May 8 sailing. The cruise has a mixture of all types of passengers. Well traveled vs. first-time-out-of-the-country passengers, multilingual vs. monolingual, flexible vs. nervous, and so forth. 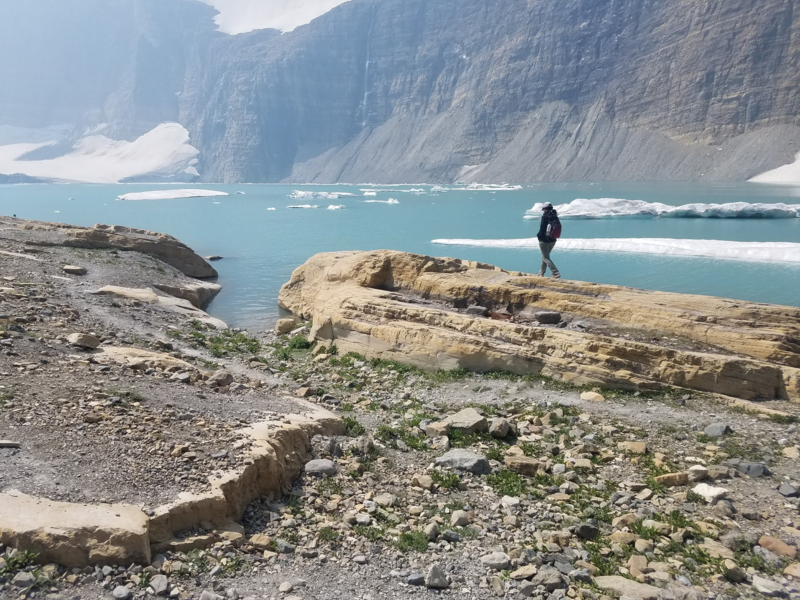 Despite Fathom’s marketing, don’t expect to be surrounded by 100% experienced travelers/volunteers/RPCV’s – you’ll truly meet all kinds on the ship, and that’s ok! There’s more than enough to do on the ship… in fact you may find yourself wondering how you can squeeze everything in. There aren’t any water slides or other over-the-top entertainment found on larger cruise ships, but so far in just 24 hours I’ve attended Fathom team meetings, Spanish survival phrase class, a seminar about fostering curiosity, and a session on how to be an effective English tutor volunteer. Sound too much like school? Don’t worry, it’s not. There’s also “Wine and Painting” sessions, Yoga classes, meditation, cocktail mixing class, evening dance classes (merengue and salsa! ), life-size giant board games, movies in the auditorium, live bands, DJ’ing by the pool, and a full-service spa and salon. The ship is a retired P&O cruise ship and some areas are showing their age, but they are slowly renovating different floors/rooms. Our balcony cabin was more than adequate, with storage space both in the closet and under the bed for the suitcases. The bathroom is small (sink, toilet, and shower), but veteran cruisers will not be surprised by this. The bathrooms come with toiletries that list which ingredients were either locally sourced or from a fair trade source. So don’t worry about packing body wash, conditioner, shampoo, or lotion, unless you have a favorite you always travel with. The ship itself is small (compared to other cruises in the Caribbean) – our sailing only has around 300 passengers on it, but including staff a full ship can accommodate almost 700. There are lifts on both ends of the ship, but those who like to walk will find that everything is quite close together given the small size of the ship. Cool fact: There is FREE self-service laundry onboard – great for tossing in dirty clothes after an impact activity! If you’re used to bigger ships, you may be surprised about how much you can feel the swell of the waves. I haven’t been seasick yet, but you can definitely tell the ship is moving and it’s a bit disconcerting the first day or so. I brought ginger chews and Dramimine with me, just in case, so I advise you to pack similar items in case you’re negatively affected. Other passengers reported that motion sickness wristbands or preemptively taking Dramamine and/or ginger chews helped stave off their anticipated motion sickness. Food is plentiful and almost always available. The buffet dining room is called The Conservatory and stocks food from 6:30am – midnight every day. There is a sit-down restaurant, The Pacific Restaurant, that serves three course meals for lunch and dinner (included in the cruise fare). There is also another sitdown restaurant that has an upcharge ($25-$35) that many other passengers recommended, but I did not try it as I was satisfied with the Pacific Restaurant. The Lido Café is on the pool deck and serves burgers, wings, fries, and other poolside food, so no need to go hungry while you’re sunning yourself! Internet packages are available – I paid $35 for 100 minutes of wifi. 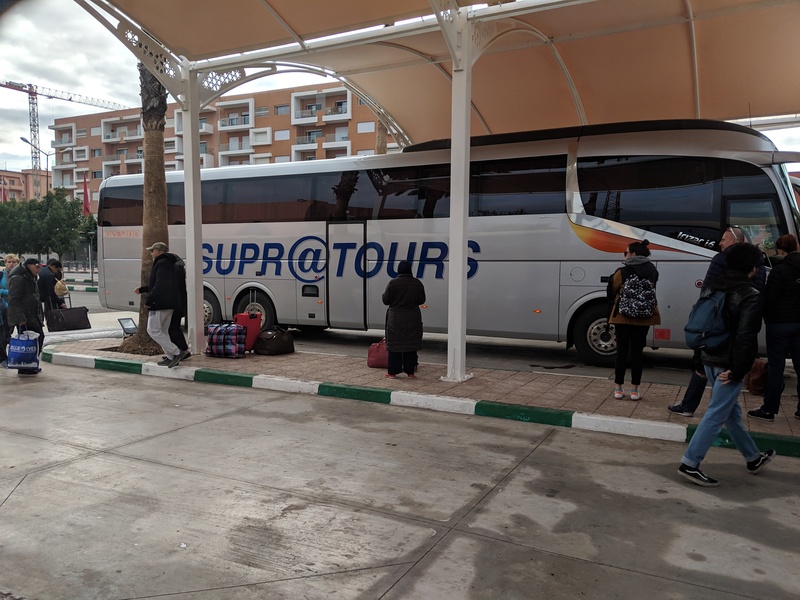 Connection for me was good for checking Gmail and social media sites – I’ve heard others complaining about the weeks before, so perhaps the internet depends on how many passengers are onboard trying to use it at the same time. There is also supposed to be wifi in Amber Cove, so I will confirm this later. The staff was giving tours of the gym and spa. Prices were expensive – perhaps no expensive than any other cruise line’s options, but still expensive depending on what you’re used to paying. At home, I pay $27 for a pedicure – Fathom wanted over $45 for their basic pedicure, and they have a special mani-pedi for $120! So make sure to budget appropriately if you want to take advantage of the spa. The stores on Fathom are quite well stocked –no need to worry if you’ve forgotten sunscreen or any other toiletries. They also carry quality skin care from L’Occitane, Origins, and the Body Shop; great to know if you don’t have time to go shopping before your cruise! 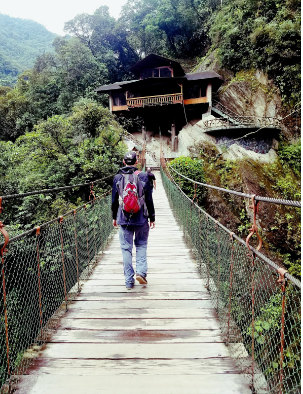 They have some beautiful artisanal jewelry, fabrics, and clothes for sale – the prices are no more expensive than any other fair trade / artisanal item that has been imported back into the States, so I may be doing some gift shopping onboard! It’s possibly to maintain a healthy lifestyle. Mr TravelObservations, who follows a mainly paleo-inspired diet, has been impressed with the options available to those who prefer to be disciplined about what they eat. He’s taken advantage of the machines in the gym, the jogging track, and the buffet options, selecting meats and vegetables. Although cruises are often synonymous with excess and with indulgence, it’s perfectly possibly to maintain your daily food habits if you so wish. Another person at our table reported a nut allergy, and the servers went and beyond in making sure that our friend felt comfortable with the food choices, even bringing the next day’s menu to ask her to select her dinner in advance for tomorrow night in order to already check with the chef if there would be any allergen issues. Service, for the most part, has been exemplary. This is only Fathom’s fourth sailing, I believe, so of course there are kinks to be worked out, but for the most part each and every member of the staff has been kind, courteous, and proactive in approaching passengers. Although the purpose of the trip is impact activities in the Dominican Republic, it’s possible to choose what your purpose for traveling is. For instance, in the main dining hall, they will ask you if you want to be seated with other passengers or not. If you feel like making new friends, go ahead, but if you’re feeling like you need some down time, it’s perfectly fine to request a table for one or two. The staff isn’t “pushy” about making you talk to other people, although clearly their hope is to build mini-communities by placing volunteers into different cohorts for three meetings to debrief their experiences throughout the cruise. So for those cruisers who are worried about over-the-top “campiness,” don’t worry. It’s also possible to sign up for as few or as many impact activities as you want – staff members aren’t monitoring whether “you’re really here to help,” so if you’d like to take a day off, go right ahead! Passengers certainly aren’t made to feel that they have to “earn their keep” – Fathom wants everyone on board to have a good time regardless of what activities they choose! The library was stunning! Books are free to check on on the honor system, and the bookshelves are full of some of the top selections from both present day and from classics. So don’t bother about packing too many books in your suitcase if you’re a reader – you’ll be pleased with the selection onboard the ship. There are many surprises hidden on the ship, such as a wall of postcards you can send to yourself and Fathom will pay the shipping home. I also found my first curiosity box, in the library, filled with prompts about books to get you thinking about your responsibility for social justice. After barely 24 hours on board, those are some initial 15 things you should know about Fathom! Follow along as I post more detailed trip reports after we reach the Dominican Republic! I really appreciate the detail here! 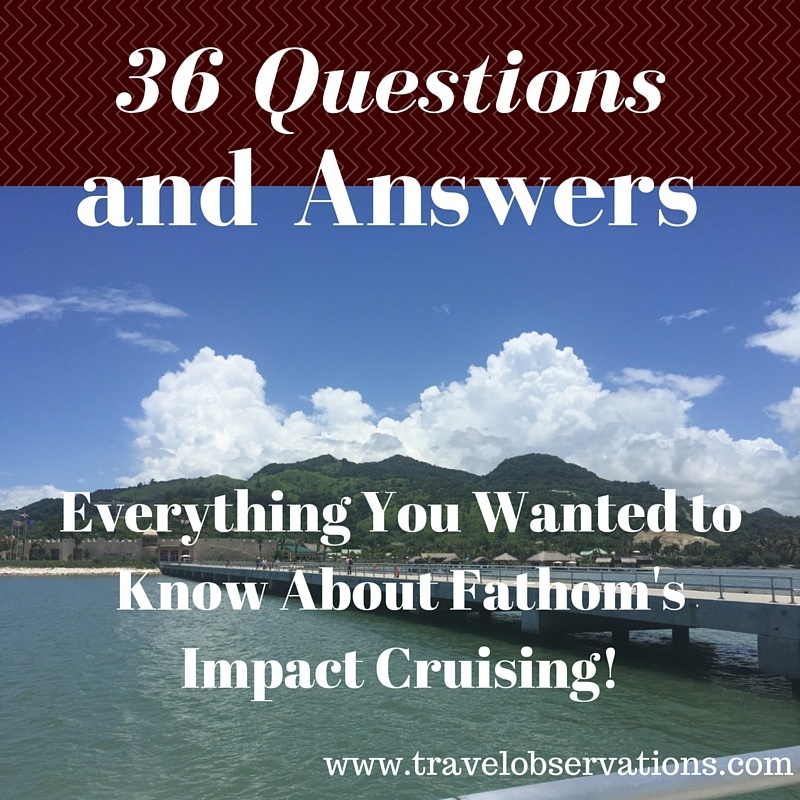 I will be sailing with Fathom to the DR on June 5, and so your post is very helpful! I will continue to follow! Thanks Janet! I’m really glad you liked it. If there’s anything special you’d like me to find out, let me know and I can ask someone onboard too!